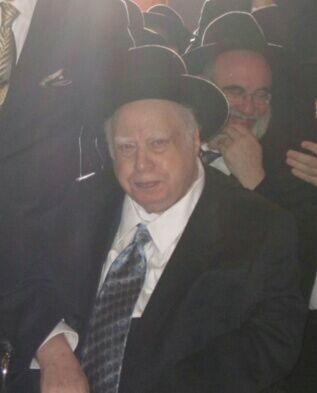 UPDATED: We regret to inform you of the Petirah of R’ Tovia Preschel Z”L who was Niftar today in Lakewood. Rabbi Tovia Z”L, 91, a well known Talmudic scholar and journalist, was born in 1922 to Moshe and Pearl Liba (Shapira ) Preschel. Moshe Preschel, a successful businessman was a son of Rabbi Yochanan Preschel, Rabbi of Sniatyen, Galicia, the author of various Seforim and a contributor to a variety of Torah journals. In addition to attending Talmud Torah in Vienna, Austria, Tovia’s parents engaged private rebbes to teach him. One of them was Rabbi Shmuel Hubner ztl who was later to translate several volumes of the Talmud into Yiddish, underground while living in Belgium during the Nazi occupation in WWII. Towards the end of 1938, following the Anschluss, when Austria was taken over by Germany, Tovia was taken to London on one of the Kindertransports organized by Rabbi Solomon Shoenfeld. Tovia’s farewell to his parents in Vienna was the last time he was to see his mother. She was later deported from France to Auschwitz where she perished. In London Tovia Preschel studied for many years at the Etz Chaim Yeshiva. His main teachers were the Rosh Yeshiva Rabbi Elya Lopian, ZTL one of the great Mussar leaders of his generation, Rabbi Shlomo Nachman Greenspan ZTL, a well known rabbinical scholar and author and Rabbi Arye Ze’ev Gurwitz ZTL one of Rabbi lLya Lopian’s son- in -laws, who was to later serve as Rosh Yeshiva in Gateshead, England. Preschel who had been active on behalf of Irgun Zvai Leumi in London, served as a volunteer in the IDF during the war of Independence. In Jerusalem Tovia Preschel served for a period as an editor at Mossad HaRav Kook. He also contributed to Encyclopedia Talmudit in its original Hebrew version as well as to the English edition. He was the author of the entry, “Talmud” in Encyclopedia Americana. Rabbi Preschel contributed many articles on Jewish and Rabbinical scholars to the Encyclopedia Judaica and Encyclopedia IVrit as well as to various collections of biographies such as Eleh Ezkerah edited and published by Dr. Isaac Lewin on behalf of Agudas Yisrael. Writing in Hebrew, Yiddish and English, he worked for various Jewish newspapers including the Israeli dailies Herut, HaTzofeh and Hamodia and the NY weekly Jewish Press. Rabbi Tovia Preschel also wrote for Torah periodicals such as Sinai, HaDarom, published by Rabbinical Council of America , HaPardes, of Agudas Harabbonim of America and Or Hamizrach under the auspices of US Mizrachi and various other Torah collections. He is survived by his wife, Mrs. Chana Rachel Preschel, and four children: Dr. Yochanan Preschel (New York), Dr. Shmuel Preschel (Lakewood), Mrs. Pearl Herzog (Lakewood), and Rabbi Chaggai Preschel (Yerushalayim). R’ Tovia Z”l resided in Lakewood at the home of Dr. Preschel for about 10 years. The Levaya will be taking place at 1 PM today at the 7th Street Chapel. Kevura will be on Har Hazeisim. Shiva will begin here in Lakewood, Sunday morning, December 29, at 119 Leonard Street (between Park Avenue and East End Avenue) through Wednesday morning, January 1. There are 5 Comments to "Levaya of R’ Tovia Preschel Z”L"
such fine children. he should be a meilitz yosher for us all. Dr. Samuel Preschel is a great man. I used to tale my children there and he is so nice, caring, knowledgeable and yet so humble. If others can just learn from him! May your father rest in piece. A Talmud of real giving and taking action. Klal is mourning with his family. I have to agree dr preschel is A very humble person. The niftar was truly one of a kind. He had such great stories to tell about famous Jewish personalities. Many people sought out his advice. A BIG book could be written about the many careers that he engaged in. An immense Talmid Chochom who always had something good to say.